This is the fourth day of our Birthday giveaway. The giveaway item for today is iMag iPhone Stand for Phone & Laptop. If you own an iPhone, iPod, iPad or any other smartphone or tablet, sometime you may need to place your device upright on the table so you can free your arms and view the video/content comfortable at a distance. 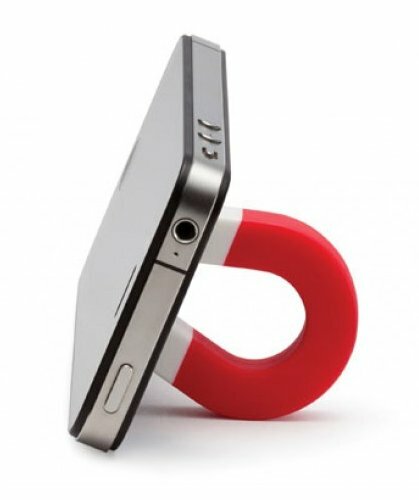 In this case, a phone stand would be useful, and iMag iPhone stand could be a great tiny gadget for you. 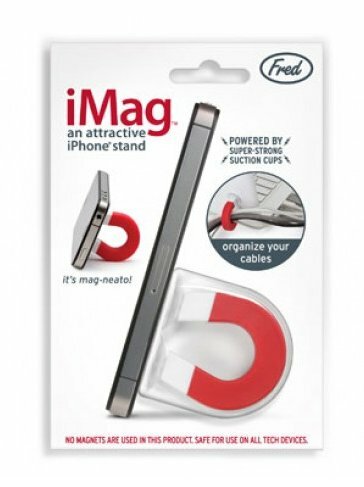 The iMag iPhone Stand is available at the price of $7.88, excluding the shipping charge. 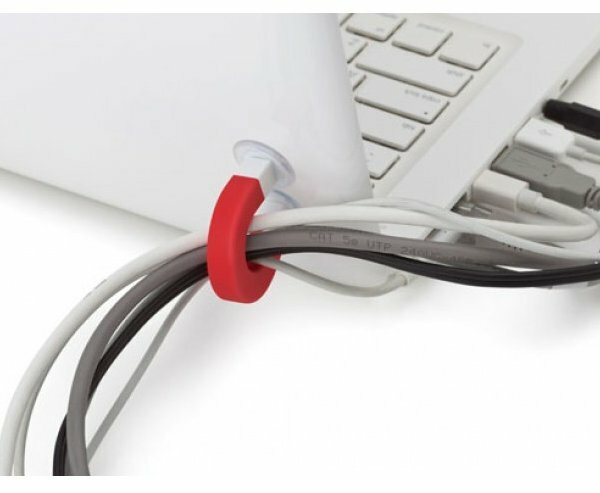 We are glad to have 8 pieces of this small and useful gadget to give away. The best part is that the shipping charge is also included in the giveaway so you won’t have to pay a cent (ok, well, there is a $0.01 charge) to get it shipped to your house, no matter where you live. Contest ends November 21, 2012. We are very glad to sponsor MTE’s birthday giveaway! 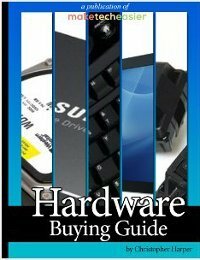 Your blog is delivering tremendous value to the tech world. Hope your readers will love the little gifts from us. This looks like a nice little gadget count me in please & thanks.